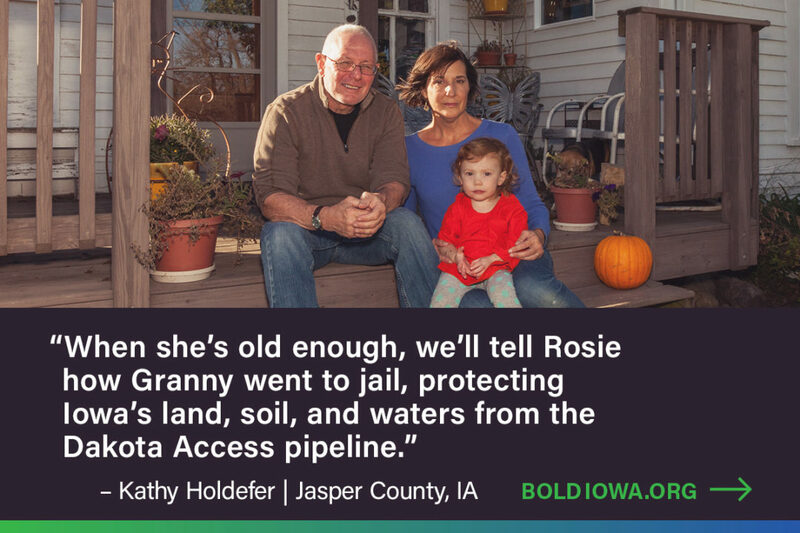 Des Moines — Bold Iowa and coalition partners today stood in court with Iowa farmers and landowners who are challenging the granting of eminent domain authority to seize their land against their will for the Dakota Access pipeline. Following the hearing, over 120 Water Protectors marched from the Polk County Courthouse to nearby Cowles Commons for a rally and press conference. 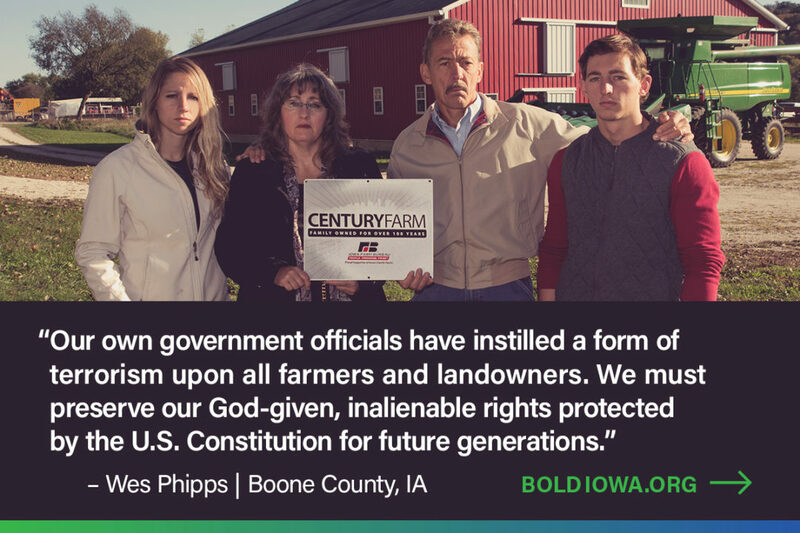 “Regardless of how the Judge rules today, we continue to see more and more people stepping forward to challenge the misuse of eminent domain. 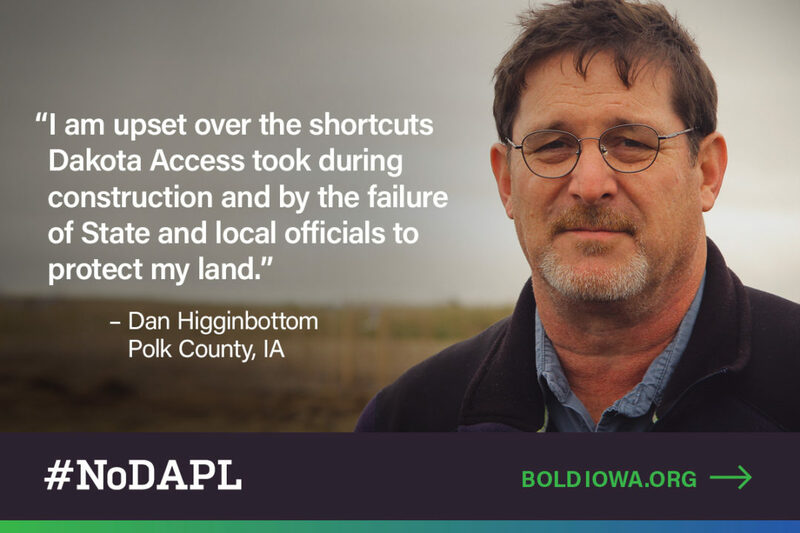 Big Oil and this pipeline company have tried hard to intimidate farmers and landowners, and as we’ve seen today, many refuse to back down, refuse to be pushed around,” said Ed Fallon, Bold Iowa director. 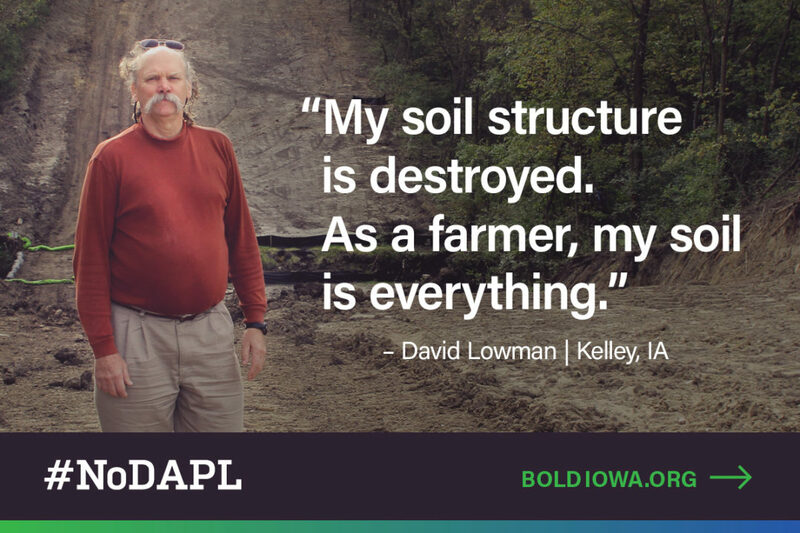 “Eminent domain for private gain is abused by Big Oil, and farmers end up paying the price,” said Jane Kleeb, Bold Alliance President. The District Court also heard Sierra Club Iowa Chapter’s challenge of the Iowa Utilities Board’s decision to issue a permit for Dakota Access to construct a hazardous liquid pipeline across Iowa.